If you are searching for a brand new luxury SUV, you will certainly be able to find what you are looking for here at Land Rover Colorado Springs! We offer a large variety of different SUVs that can fit any budget, need, and want. We are especially proud of our currently available 2019 Land Rover Range Rover Velar selection – including this beautiful 2019 Land Rover Range Rover Velar SE. The newest model year of the Velar is even more luxurious than ever before, with its variety of eye-catching exterior colors and beautiful interior colors. This model has a Smoky Silicon Silver exterior color and a unique Vintage Tan leather mixed with Ebony Windsor interior set-up. Priced at under $74,000, you can rest assured that you are getting only the highest quality in your brand-new Velar. Equipped with a 2.0L turbocharged engine and paired with an 8-speed automatic transmission, you should expect an estimated 21 MPG city/27 MPG highway fuel economy. Some of the other features you can look forward to enjoying include rearview camera, navigation system, heated front windshield, streaming audio capabilities, and low tire pressure warning. Plus, you also could add premium options to your Velar too, including SiriusXM satellite radio, towing equipment with trailer sway control, and blind spot assist. 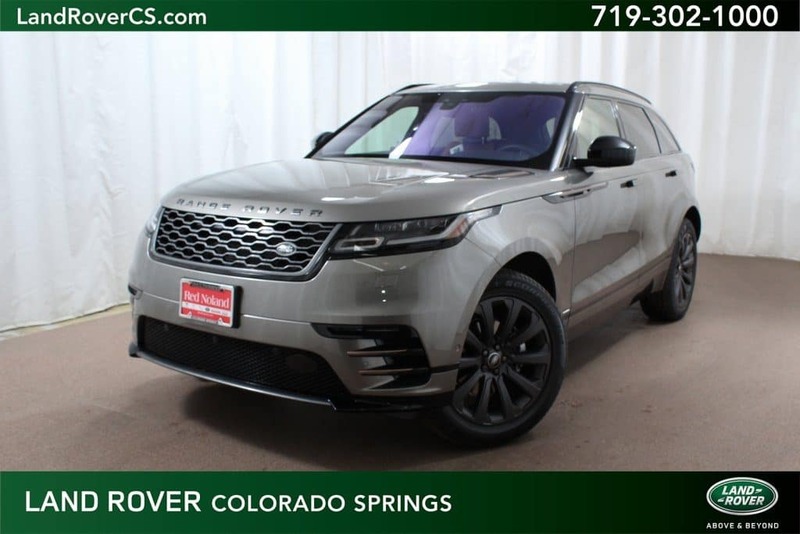 If you are interested in this specific 2019 Range Rover Velar SUV, you can either give us a call at 719-302-1000 to setup a showing or you can just stop into the dealership today and take a test drive. Let Land Rover Colorado Springs help you find the best performance SUV option for you!